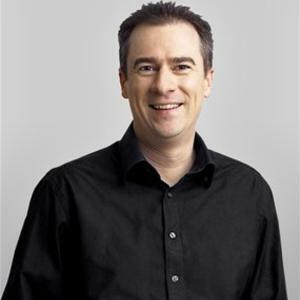 Gerard Whateley is a broadcaster with ABC Radio Sport fronting the AFL and horse-racing coverage. He is an award-winning journalist who has worked at the Herald Sun and Channel Ten. During six years with Australia’s biggest selling daily newspaper, Gerard Whateley gained experience in most areas of journalism including police rounds, courts and state politics. After researching the paper’s hardback book Our Home Front documenting life in Australia during the Second World War from contemporary newspapers, Gerard became the paper’s film reviewer, then editor of HIT magazine before being appointed senior writer for the Sunday Magazine in 1998. Always with an eye toward his first passion - sport, Gerard wrote regular in-depth features gaining rare access to the likes of Wayne Carey, Greg Norman and Jacques Villeneuve while covering football as a “second job” for the Sunday Herald Sun. That led to a job as Channel Ten’s senior sport reporter at the beginning of 1999. At the end of his first year he was named the Young Journalist of the Year at the Melbourne Press Club’s prestigious Quill Awards and Network Ten Young Achiever of the Year. In 2001 Gerard accepted the chief reporter’s position at Seven News, winning the Quill Award for the Most Outstanding News Report. Soon after, Ten reclaimed Gerard as a founding member of the network’s AFL commentary team. Gerard also joined ABC Radio’s AFL team. In his inaugural year calling football he was named Australian Football Media Association’s Most Outstanding Radio Caller, following in the footsteps of Tim Lane. Meanwhile his horse racing work in print, radio and television was rewarded with numerous awards including the 2004 Cox Plate Story of the Year for the ABC. Having been a regular voice on the national broadcaster for a couple of years, Gerard joined the ABC full time in September 2004 to fulfil a childhood dream of broadcasting a wide variety of sports. In 2007 he was named the ABC Sports Broadcaster of the year.